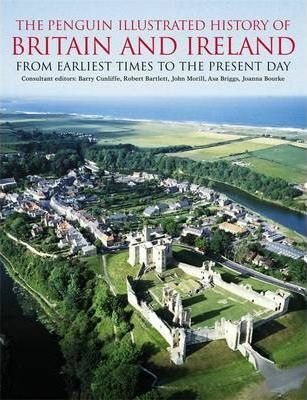 Compiled by a team of leading historians, this is a wonderfully rich, lavishly illustrated history of England, Scotland, Wales and Ireland. The reader is taken on a journey from prehistoric times to the present day, examining such topics as the spread of literacy, the development of transport, and the evolution of country houses on the way. British cities are brought to life in artwork reconstructions that take the reader back to the Dublin of the 18th century or London in the 1850s. Scholarly yet accessible, this is the ideal introduction to British and Irish history. Illustrations note w. numerous figs. and maps (mostly col.).